Sympathy cards are probably the hardest to create, because it is not something that we want to make. A long time friend's spouse recently passed away and I am not able to attend the services. I remembered creating a background with a Sparkle and Sprinkle stamp way back when I was on their design team, so I got the stamp out and made this card. First stamp the image on gray CS six times with Versamark and emboss with Black Detail embossing powder. Stamp them one at a time to make it easier to line them up. Punch the edge with punch. 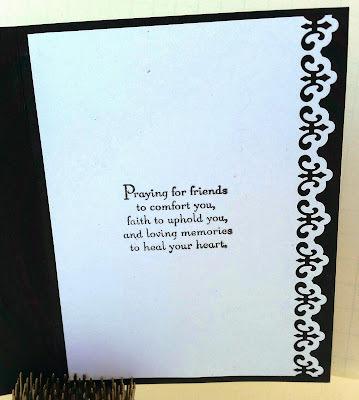 Layer onto black card base. 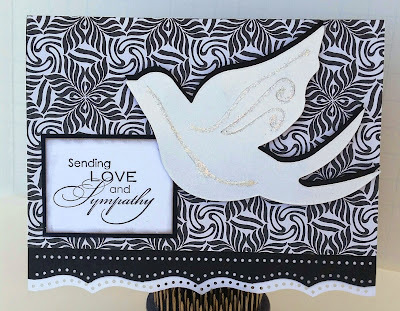 Die cut the bird two times, once in black and once in white. Use Dimensional Glue over detail cut lines and apply Sparkling Snow glitter. Pop the bird onto front. Stamp the sentiment and emboss with Black Detail embossing powder. Cut into a rectangle; layer onto black rectangle. The inside only has the same punch along the edge and the sentiment stamped. 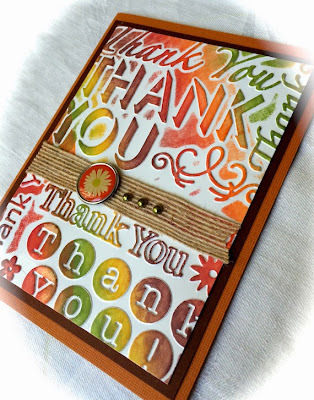 I really like this sentiment from Stampin Up. Another card was needed for a different family member and I did not want to send the same card. I punched the edge of the white card base, punched a piece of black CS and layered them. A piece of pattern paper was added to the top. Used the same bird die as above and a different SU sentiment. 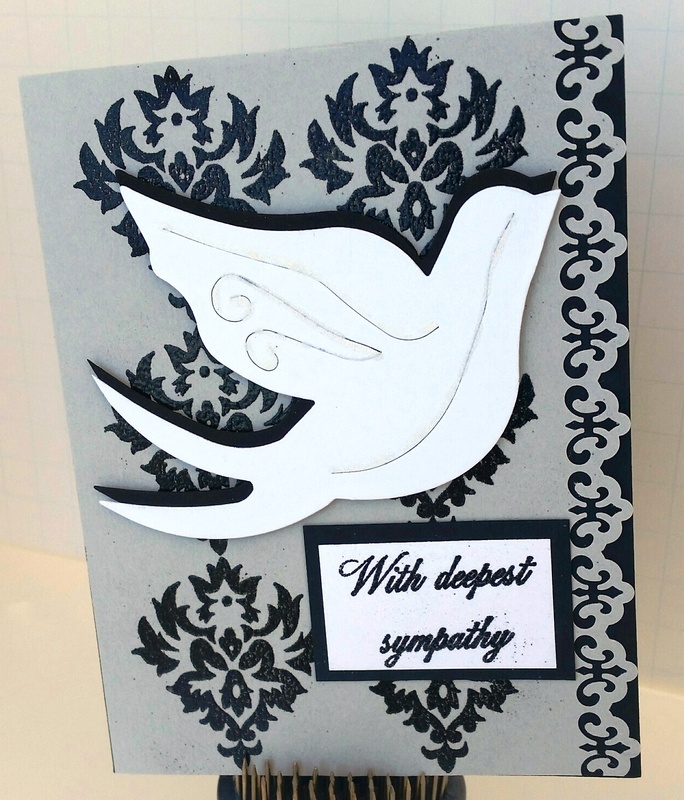 Really hoping that you do not need a sympathy card but if you do, perhaps one of these will help. Hi! 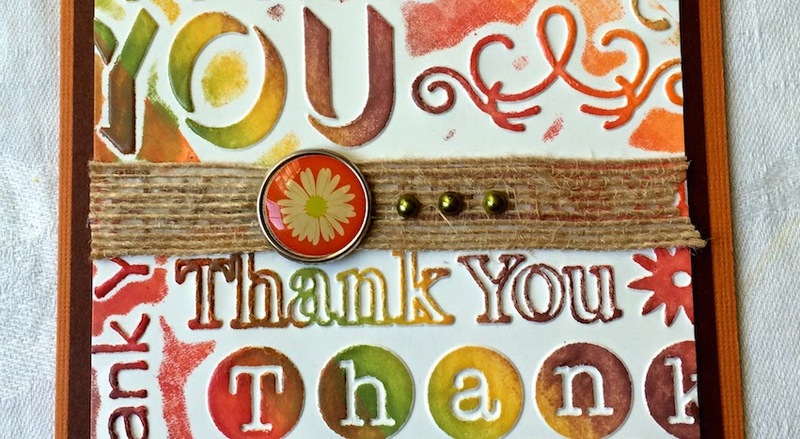 Hope you are enjoying a fantastic crafting day! It's really a great technique. I only wish the glossiness would show up more in the photo. The Kaleidacolor multicolor ink is applied in a diagonal manner using a brayer. 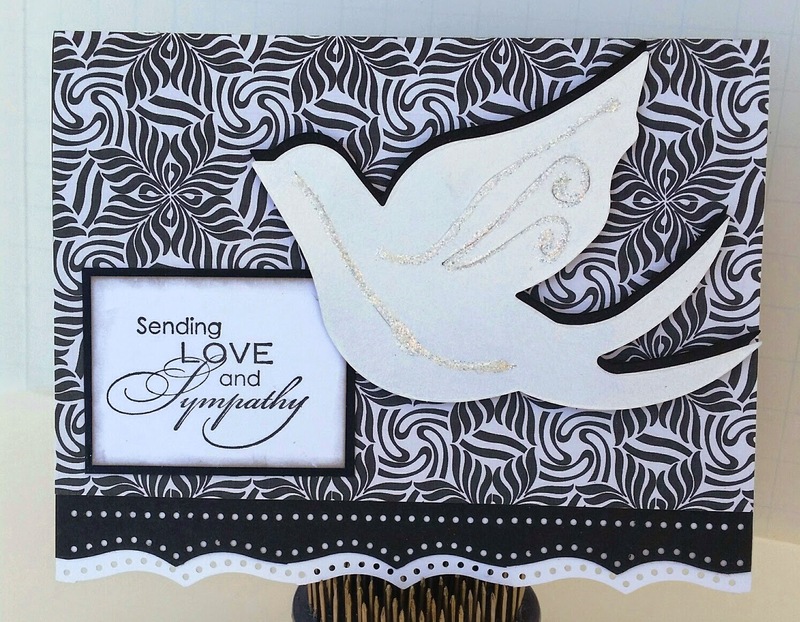 It's a great design technique to highlight a singular portion of the card! In this case, the yellow streaked ink highlights the pretty flower embellishment. Love the way the ink smears to pop out the white letters! In the photo below you can see the burlap textured ribbon which has been cut on the right in a banner style finish. Hope you have enjoyed my card! Thanks for visiting today. 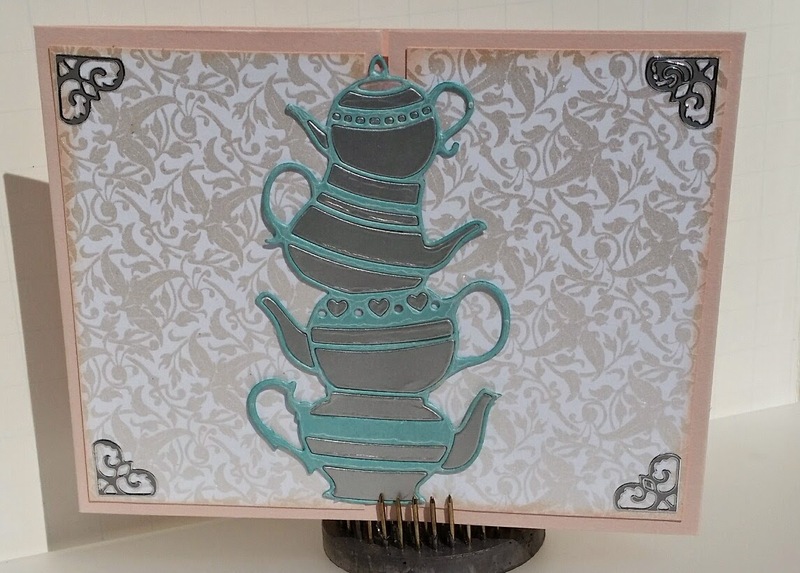 I started out by using two coordinating double sided designer papers, one with polka dots and one with wavy lines. The wavy paper is 4-1/4 X 5-1/2. Dotted paper was cut 4-1/4 X 7, then scored at 5-1/2, folded over and taped onto the dotted one. Both paper edges were inked with coordinating ink color. I found this adorable ribbon in my stash and added it to the top using glue dots. Perfect little girl vibe going on so far. Side note: the card was supposed to be PINK, but the paper is really more peachy in color. I guess that works for little girls, too? Next, die cut a scallop circle from the DP and ink the edges. This sweet little bird delivering the sparkly bundle is from a Unity mini set called "Birdie Told Me". 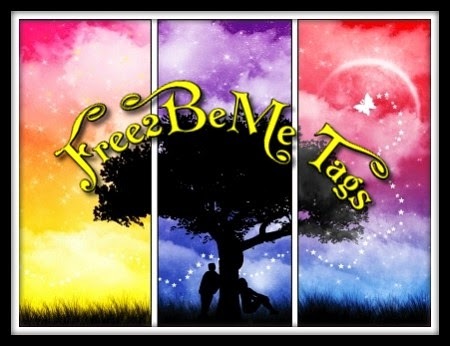 She was stamped on white paper, die cut, colored and glittered with stickles. I also added stickles to the outside edge of the circle. 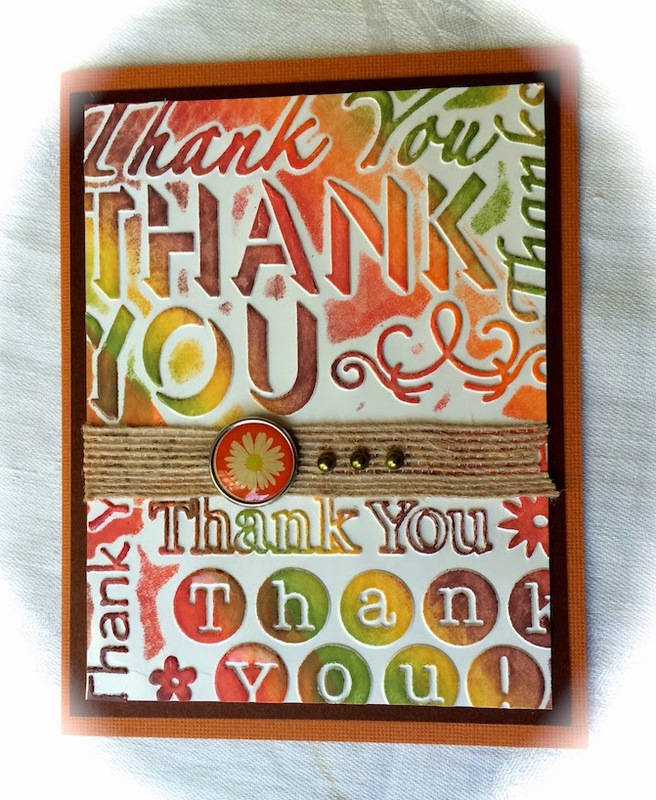 The sentiment on the front is from an older Stampin Up set. The sentiment on the inside is a from a clear stamp set by Cloud 9 Design called Simple Thoughts-Baby. I just added the little silver charm using a brad before adhering the layer to the card base. This card only took about 30 minutes to make and the hardest part was waiting for the stickles to dry! I am happy that I was able to get all three cards out in the mail today. Feels good to get something accomplished. Well, I had intentions of submitting this card to some challenges, but alas there just wasn't enough time. Maybe the next one. Have a wonderful day and thank you for taking the time to stop by!